The peregrines are now spending significant time in the nestbox and exhibiting all kinds of courtship behavior including mutual ledge displays and lots of nest scraping by both male and female. 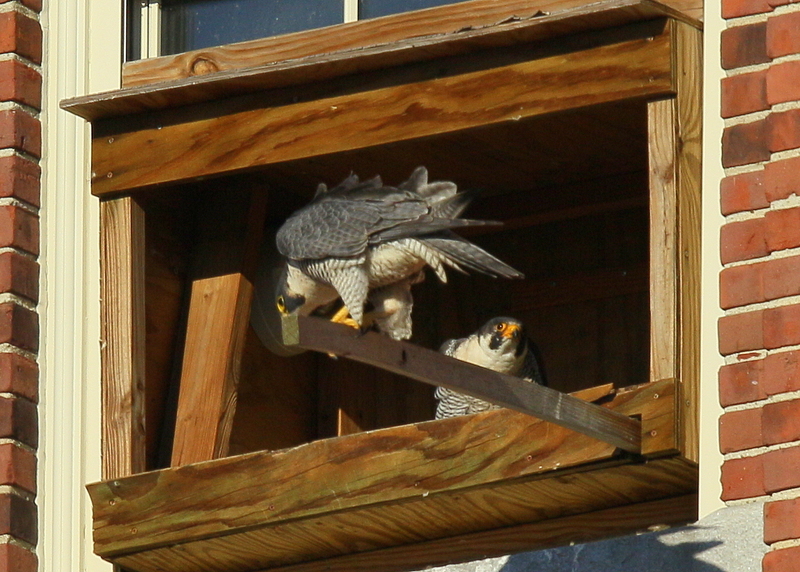 The female was bowing and calling out to the male from the outside perch. The male flew into the nestbox and then left shortly thereafter. These are all signs of courtship and hopefully will result in eggs being laid in next few days! 7 photo sequence: http://www.pbase.com/birdshots/image/159636773 Click “next” in upper right to advance frames!